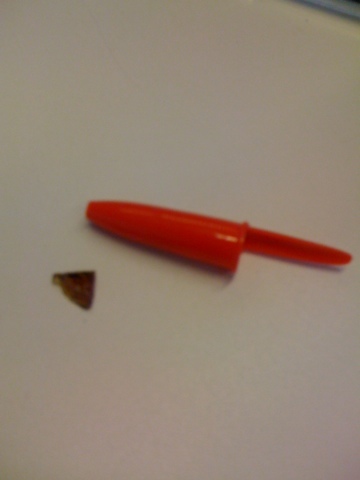 The pen cap is there for size comparison. It was in a place that I only noticed when I was pushing on the bike pedal, otherwise my foot didn't press on that part of the shoe. It was hard to get out! Luckily, my foot is just fine.